This Audi A3 is available in Silver, Black, White, Red, Blue other colours and lease options, subject to availability and includes a warranty. The new A3 takes the premium sports hatchback to another level. More dynamic. More refined. More eye-catching. More rewarding. Few rivals can match the A3 for cabin quality, desirability and resale values. It's a fine all-rounder. It handles well and there are some fine engines available. Come in 3 or 5 doors and various colours, petrol or diesel, manual or automatic. Which Audi A3 are you going to lease today? We offer top quality Audi A3 from brand new, nearly new, slightly used or ex demo, whether you have good or poor credit rating, pay a low or no deposit. These Audi A3 can be leased or financed and come with a warranty, HPI checked and when contract hire leasing, include UK nationwide delivery and AA or RAC Roadside Assistance cover for peace of mind. 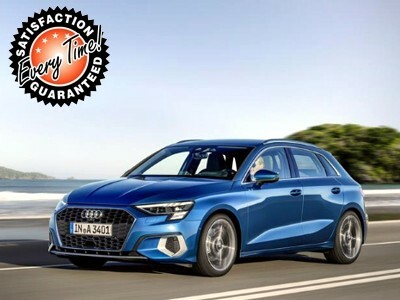 Time4Leasing can offer you the latest Audi A3 lease deals at lower prices because these vehicles are exclusive and offered at lower rates to customers that have good, poor or even bad credit history score ratings. Petrol buyers can choose between 1.4- and 1.8-litre turbo engines and the 1.4 is pretty much our favourite. It keeps the price reasonable and is gutsy enough to let you enjoy the A3’s agile handling. There are also two diesel engines: a 148bhp 2.0-litre and a 103bhp 1.6. The smaller of the two emits just 99g/km of CO2, so it attracts temptingly low company car tax bills. Both diesels are smooth and flexible, but if you can stretch to it we’d recommend the 2.0 for its punchier power delivery. There are three trims, each with a different suspension setting: SE, lower Sport and lower-still S line. For us, the SE’s suspension provides the best balance of comfort and control, and the good news is that you can specify it at no extra cost with every trim level. SE trim undoubtedly offers the best value for money, too, but you might want to add one of two optional extras, such as automatic light and wipers and climate control. There are 74 Audi A3 Lease Deals on Offer.